We pride ourselves in being a community resource and venue for the Northside. We promote area business and restaurants, host community meetings and accommodate local artists. 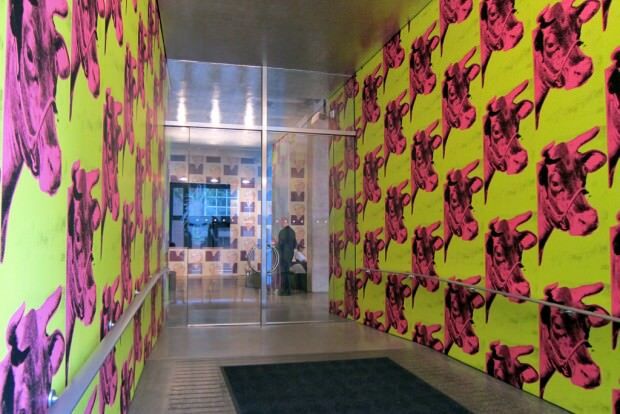 The Office of Public Art publishes self-guided walking tours of downtown pittsburgh every year and makes them available for free in their Downtown office at 810 Penn Avenue, Suite 200. The books are also available for download at publicartpittsburgh.org. The new edition has a greatly expanded section on the Northside including many of the artworks in Allegheny Commons that connect visitors from the Children’s Museum up to the Mattress Factory. The Theater is a part of the Charm Bracelet Project, a network of cultural, educational, and recreational organizations making community impact on Pittsburgh’s Northside. We work collectively for a vibrant, attractive and accessible neighborhood. There are numerous unique dining options nearby in the Theater’s Northside neighborhood. From the eclectic, 4 restaurant concept at Federal Galley, to authentic Asian cuisine at Nicky’s Thai Kitchen or a savory traditional German meal at Max’s Allegheny Tavern—from fresh, handmade pasta at cozy Legends of the North Shore, to quick bites of pub-food-with-a-twist in the quaint tavern atmosphere of The Park House or Monterey Pub. Download a list of Northside Restaurants (pdf). The closest park to the Theater is Buhl Community Park at Allegheny Square, a revitalized community resource for Pittsburgh’s Northside, sits at the former crossroads of Federal Street and Ohio Street in front of the Children’s Museum. Pittsburgh’s oldest park, Allegheny Commons, dates to 1867 when it was designed to provide “breathing places” for the citizens of what was then the sooty city of Allegheny. 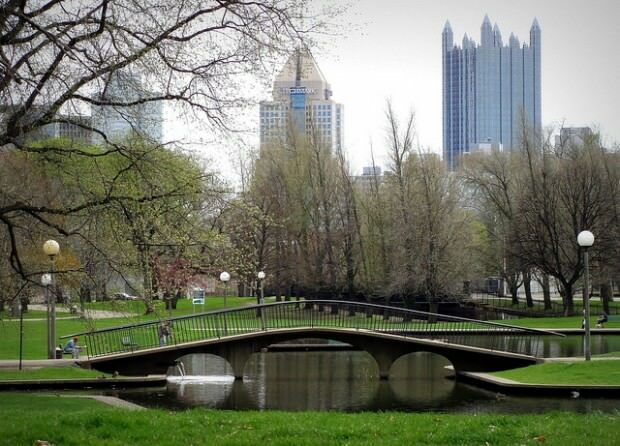 The Northside is also home to Pittsburgh’s 4th largest municipal park, Riverview Park. This is a densely wooded and hilly park with walking trails and horseback riding just minutes from the city. The Conference is a coalition of Northside community-based organizations, addressing community issues in order to promote and enhance the vitality, quality of life and image of Pittsburgh’s Northside. The Northside Chamber of Commerce partners with other community businesses to promote, maintain and enhance business activities on the North side of Pittsburgh.